The Saga of Friendship and Stitches woven together! Okay…my usual mantra…can it be possible that another week has gone by?! This post has been on my mind every day since the last one! So….here we go. Karen and I continued to wander through the many vendor offerings…we came upon one of my favorite and I never do it enough justice….that would be NiftyThriftyDryGoods. I love this booth and always think I will get back to spend more time….I often don’t….but have decided that will be the first stop on my Stitches journey next year. In the meantime I have landed on their website and it is just beautiful…I will be doing some online shopping….I don’t even like online shopping…but this site is wonderful. So where else did I/we visit? 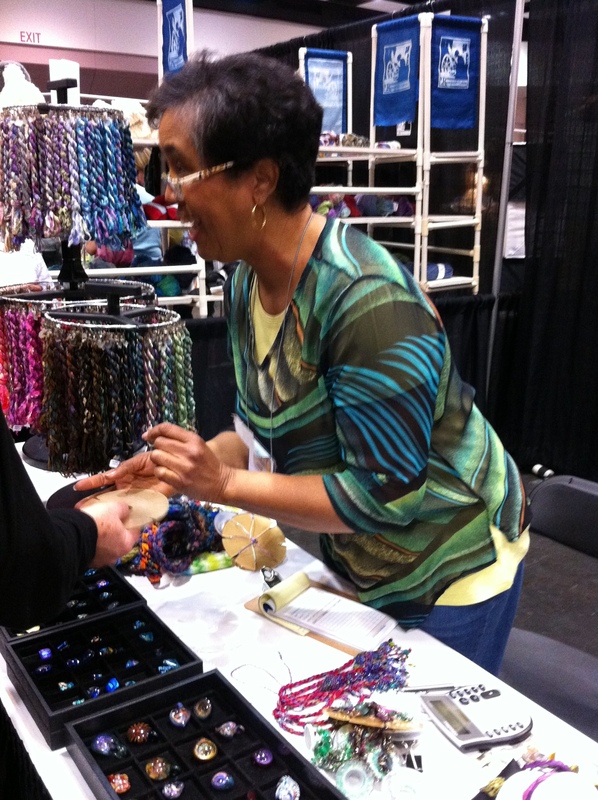 I was eager to stop by Lisa Souza‘s booth….I love her yarn and Lisa. I first met her years ago when she was a vendor at the Live Oaks Fair in Berkeley…of course, I bought yarn. I’ve followed her throughout these many years. 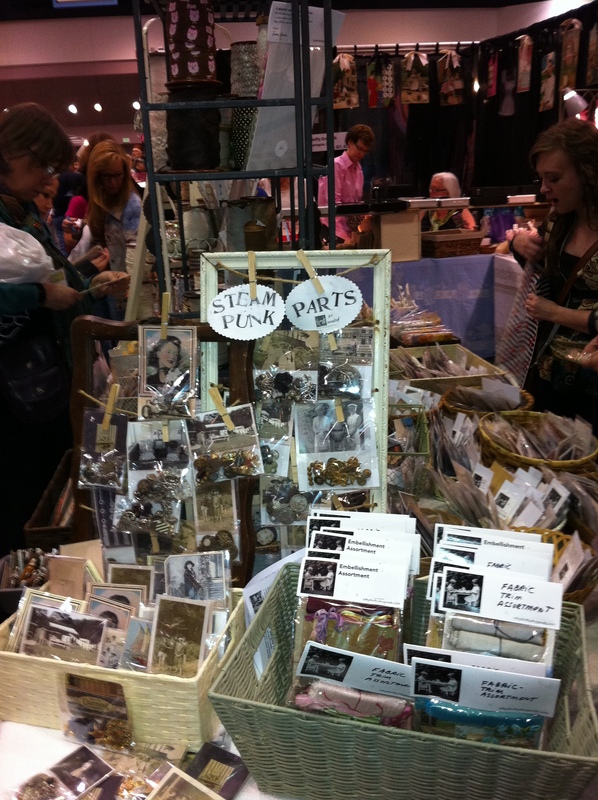 Often we were vendors together at Stitches West. At the encouragement at my own knitting workshop customer and friend Jean, I recently asked Lisa to match a yarn that I purchased from her at Stitches a season or two ago…I was inspired by a scarf/shawl that Jean was wearing…it was knit in Lisa’s yarn…Lisa matched one of her yarns to one that Jean purchased. The inspiring pattern was and is the Tavgete Shawl. I’m almost done with mine and will post soon. 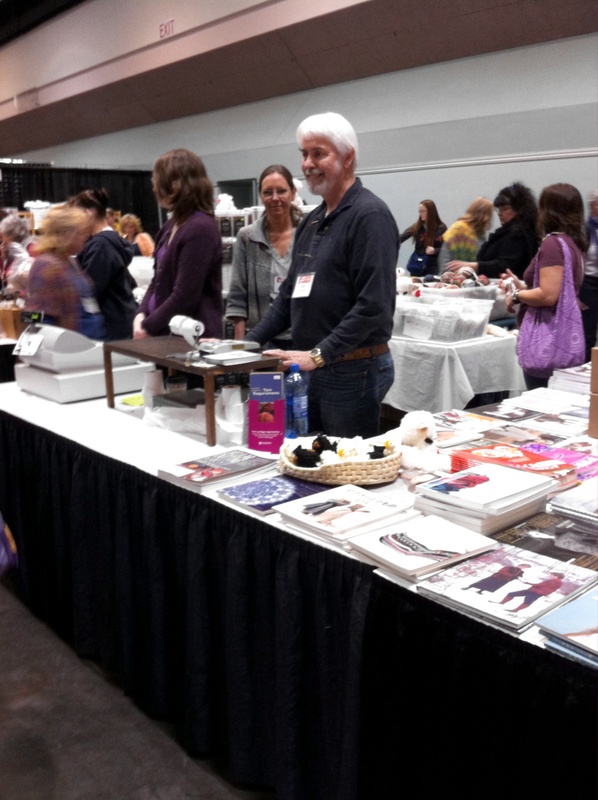 We moved across the aisle to another favorite vendor of mine….Cheryl Oberle. She has great yarn, patterns and has written several books…. she’s from Denver. What could be better than that! I always love seeing her and enjoying her yarn and visions for new designs. I am thinking I should go to one of her retreats…okay I am checking it out as soon as I finish this post. How great would that be..a retreat with Cheryl in my “home” state…I would go on to visit family and friends in Colorado. As many of you know I feel blessed to have life-long friends from my teenage years in Colorado. Karen and I found ourselves moving down the aisles…stopping along the way at more booths. While I was at Gail Hughes Art Buttons booth buying buttons for my 2-yr old Carson’s top-down sweater I heard my name called out! It was friend and teacher Melissa Leapman who has taught for Skein Lane. I consider Melissa to be one of the knitting and crochet gurus of our fiber world. I confessed that I “stalk” her on Facebook! Along our journey we came upon another old retailer friend…Connie James of Fiber Goddess. Connie has re-invented herself…she use to own Yarn Collection in Marin….she’s moved onto another venture…that of being a fiber goddess. Check out her web-site for some of her work. Next we landed at MaggiKnits booth. 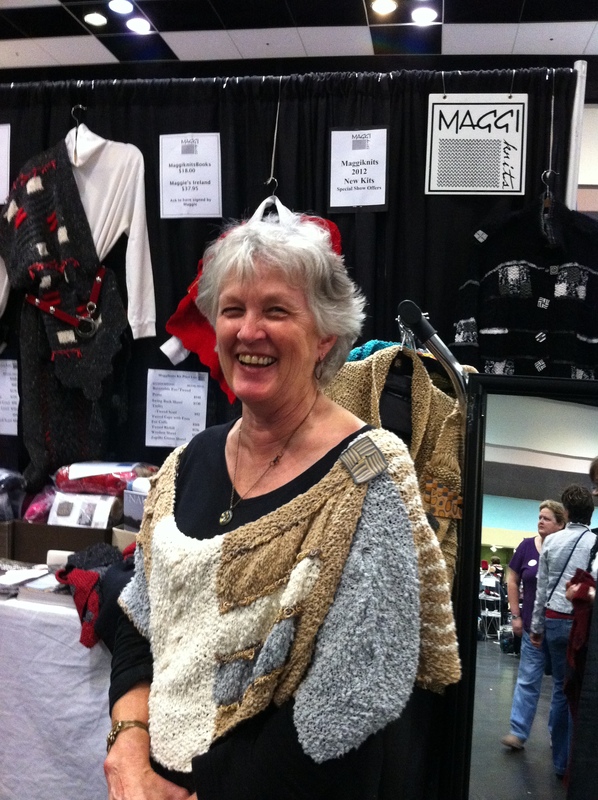 Who cannot fall in love with Maggi’s designs ( you can purchase at Skein Lane Studio)and her enthusiam? I wanted to walk away with many projects displayed in her booth…I held back only to review what I wanted to market..Karen bought a great kit…and she displayed it at our knitting workshop this past Friday. I can hardly wait to see this results…we will have to share the progress along the way. Here’s what I tried on…. Me...modeling one of Maggi's latest! I love books…and in particular…knitting books! Of course, I found myself at The Village Spinning & Weaving Shop booth. It’s always a pleasure to see owner John…we were often associate vendors at Stitches. It was a wonderful journey this year…great fibers and designs to see…great friends to reconnect with – Skein Lane folks – Chris Bylsma whom is a treasure….truly a journey of creativity, friendship and stitches. We are indeed woven together! Somehow at the end of this Stitches journey I am thinking of my grandma Alta….she stitched by quilting and crocheting…she was part of a woven community! Her love of community inspired me!